Perfect modularity and quality from Sweden! A rectifier consists of one control and one or more power modules. Standard output series: up to 120V / 50-30000A, DC/polarity reversal. The possibility of having one rectifier working as two rectifiers, i.e. independent control of two outputs (tanks). By buying a dual unit you save up to 10-15% of investment compared to two standard single units! This sets a record for all modular designed rectifiers on the market! This increases both flexibility and reliability with the rectifier. If one Power Module should fail, the rectifier will still run but with a reduced output. This is very important when working with large and/or expensive items, or for demanding and time-consuming processes. You will have possibility to «save» the batch. Ability to place up to 5 rectifiers in one stack. Easy and fast access to all components in the rectifier. This guarantees very short production stops due to replacement or repair of components. Set current with an accuracy of 0.1A and voltage 0.01V. Our rectifier guarantees a ripple below 1% across the entire regulation range (0-100% output). Typical ripple is even lower, under most load conditions ripple is below 0.2%. Significant savings compared to thyristor rectifiers is possible! Tests have shown that it is possible to save up to 40% on energy! 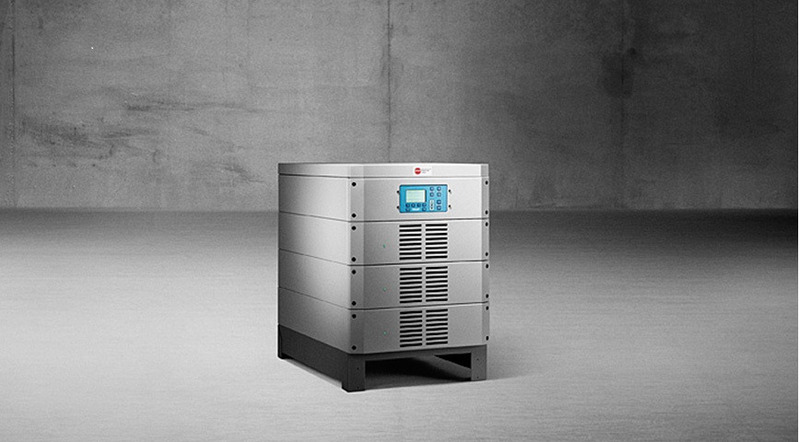 The design of the power module allows you to position the rectifiers near the plating cells (tanks). The cooling air-flow is directed only through the central heat sink, this prevents the corrosive fumes entering compartments with sensitive electronics almost completely. All FlexKraft&apos;s are assembled at KraftPowercon Sweden AB in Surte. High-quality assembly with modern, top-class and reliable components, resulting in highest possible reliability and longer lifespan - up 20 years or longer!